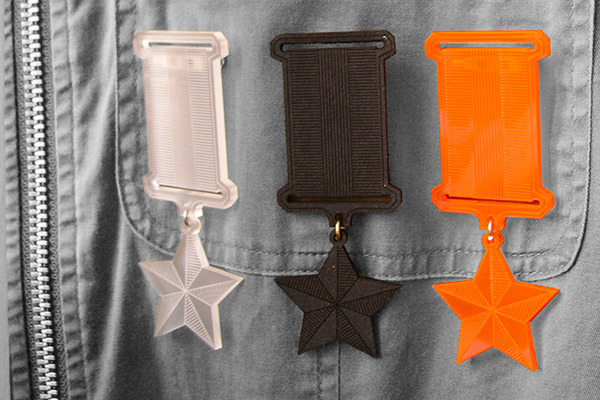 Blanko-Orden is a small series that is produced with different waste material and a laser cutter. So colours and material vary in order to the offcuts. 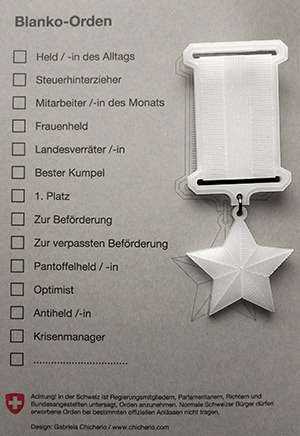 It comes with a postcard where you can mark with a cross for what type of hero the medal is awarded.